An FHA 203k loan permits home buyers to finance home improvement funds into their mortgage to repair, improve or upgrade their home. With this loan option, home buyers can quickly and easily tap into cash to pay for property repairs and/or improvements. South Atlanta Construction is a Contractor in the FHA 203K program. 203K renovations require precise paperwork and budget planning from the General Contractor involved in the project. South Atlanta Construction’s considerable experience in this area allows us to streamline the process with the utmost efficacy. 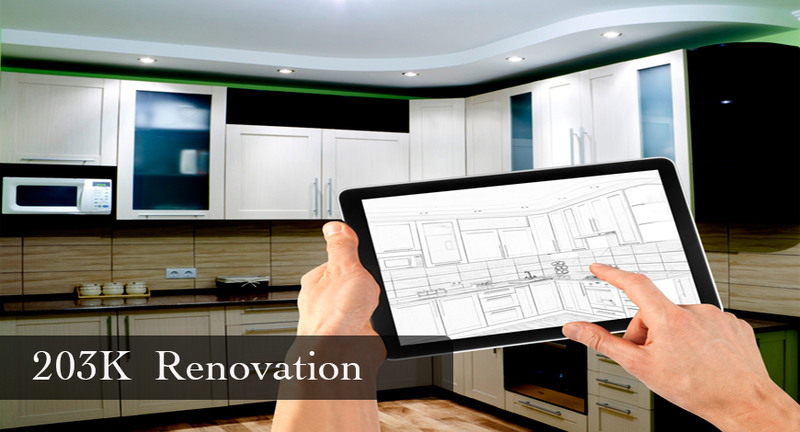 Having completed many 203K renovations, we are proud to have been part of a solution that enables a homebuyer to purchase a dilapidated or outdated property, and not only bring it safely to code, but to transform it into the beautiful and comfortable home they desire. If you wish to contact South Atlanta Construction regarding a 203K renovation, please click here. For more information regarding the FHA 203K program, please click here.